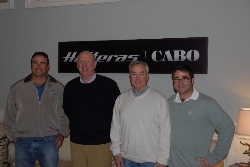 Woods & Associates is proud to announce we are Authorized Hatteras & Cabo Sales Represenitives! Talk about starting the New Year off in style—Woods & Associates has entered into a strategic partnership agreement with HATTERAS YACHTS!! We have been appointed the singular Authorized Hatteras & Cabo Sales Representatives from Ft Lauderdale north through Stuart Florida, effective February 5th , 2014. To say that we are ECSTATIC comes close in describing our feelings about this tremendous opportunity. The Woods Team is truly humbled that Hatteras chose us as the only Sales Agents for this territory and we have made a commitment to get fully engaged in the endeavor. Hatteras Yachts, out of New Bern North Carolina, has long been considered (since 1959) the standard bearer for US built vessels. The models range in size from a 54’ Sport fishing Convertible to the 100’ Motor Yacht. You can visit their web site,www.hatterasyachts.com to learn more about this iconic company. Cabo is a division of Hatteras and are built at the same state of the art facility www.caboyachts.com. They have a prestigious fleet of Express Boats and Convertibles from 36’ to 52’. Cabo has gained a reputation as a rugger sea boat, and now you will also be impressed with their new level of fit & finish. After several years of ownership by Brunswick Corporation, Hatteras was sold last August to Versa Capital Management www.versa.com. Their business model includes acquiring companies with tremendous upside potential and going through arestructuring & turnaround. Hatteras was a perfect fit, and with the new alliance firmly in place, they will no doubt prosper together—as ONE. 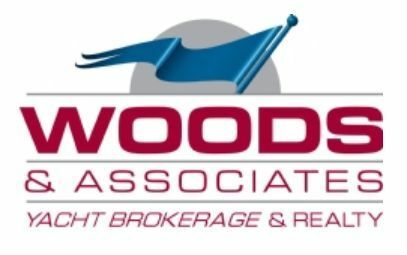 John Ward, President & CEO of Hatteras commented;"We are excited about this new relationship with the family owned and operated firm of Woods & Associates. Their high level of professionalism and experience will be a welcome addition to the Hatteras-Cabo sales operation"
Ryan, Matt, and Pete will be at the Hatteras & Cabo display during the upcoming Miami Yacht & Brokerage Show (Thursday 2/13 through Monday 2/15) on Collins Avenue, ramp 6—just north of the Wyndham Hotel. Please pay us a visit during the Show and share in our excitement as we bring you aboard the quality vessels assembled for your viewing.